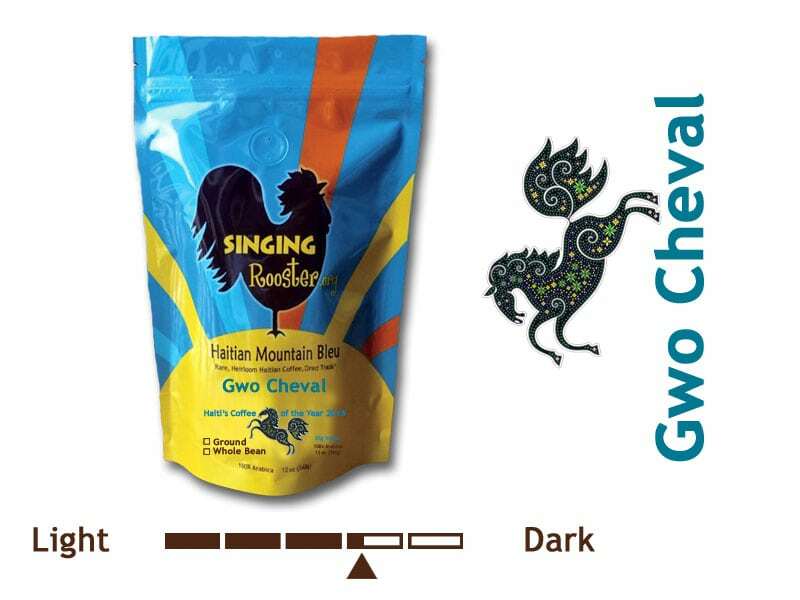 Gwo Cheval – Premium. 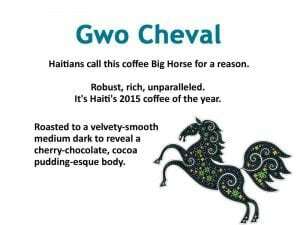 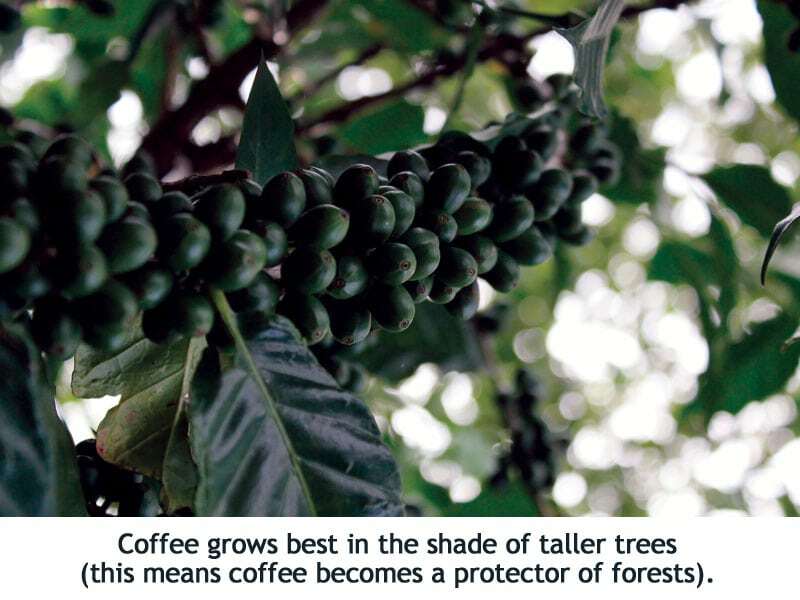 Haitians call this coffee Big Horse for a reason. 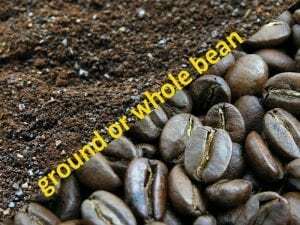 Robust, rich, unparalleled. 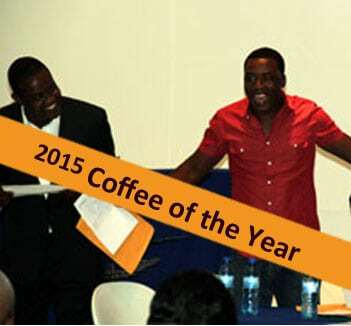 It’s Haiti’s 2015 coffee of the year. 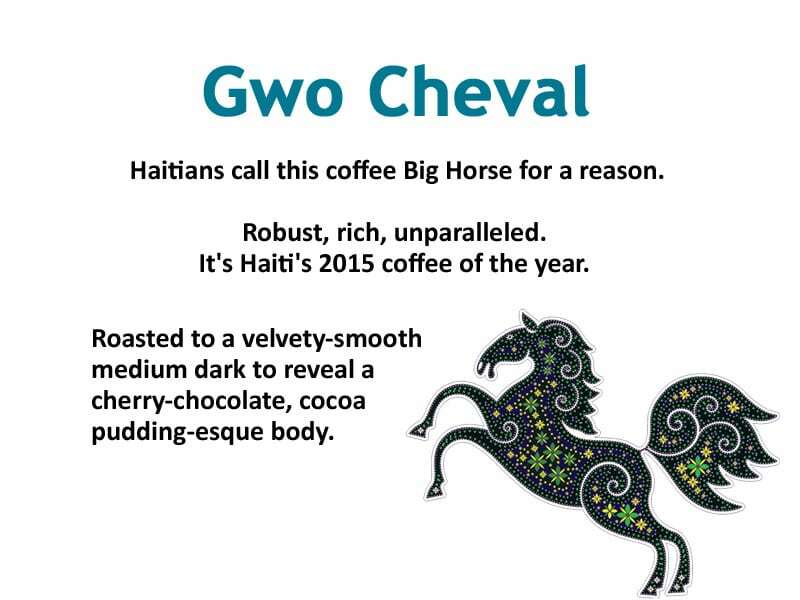 Roasted to a velvety-smooth medium dark to reveal a cherry-chocolate, cocoa pudding-esque body.